Alex Hirsch truly created a brilliant show with “Gravity Falls.” He described it as “The X-Files” meets “Twin Peaks” meets “The Simpsons.” From here he melded comedy, drama and mystery together perfectly as it is the characters who drive the story and who change after events happen in their lives. This season was extremely rich, even though the payoff wasn’t quite perfect…it still managed to be great. This is a show I will be returning back to review episodically at some point as well, it is just that great. The main plot of Season 2 is the mystery surrounding Grunkle Stan and the device he is building beneath the shack as the answers to this help us uncover the other mysteries surrounding Gravity Falls and the characters who live there. The Pros: The Animation – The animation style is unique and flows and fits the mystery of Gravity Falls as well as the colorful nature of the characters who make up the town. The Soundtrack – The soundtrack is beautiful, especially the theme song which Bill Cipher (the demon who brings about Weirdmageddon) changes. Brad Breek did a fantastic job! The Mystery – The mystery of the Journals is a driving part of the plot as we see that Grunkle Stan has one of the journals and uses them to build a device to bring back his twin brother Ford who was trapped in another dimension. It’s a powerful mid-season finale and great payoff to the secrecy surrounding the town as all the mysteries come mostly back to the Brothers Pines. 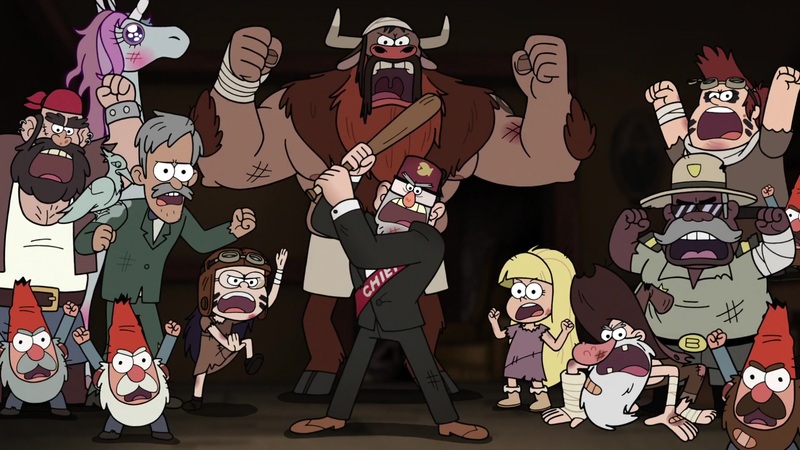 Grunkle Stan Versus Zombies – At one point in the first episode of Season 2, Dipper summons a bunch of zombies and we see how amazing Stan is as he manages to take out most of them before performing karaoke with Dipper and Mabel which is what’s needed to cause the zombie heads to explode. It’s a great way to kick off the season. There are also two FBI agents investigating Gravity Falls too. The Characters – The characters are the best part of “Gravity Falls” and it is how they are explored, which drives the plot. This season went in depth with all the main cast as well as a few side characters too who received some great development. .GIFfany – .GIFfany is awesome! She is a sentient program from a Japanese dating sim who destroyed her creator and fixates on Soos. When Soos eventually ends the relationship she tries to kill him and his girlfriend but in the end is stopped. I really liked her obsessive character. Gideon – Gideon goes through an arc over the course of the series as he is a villain serving Bill for much of it but finally comes around when he realizes that Mabel would be ashamed of what he’s doing and that her being trapped is not them being in a relationship. This leads to him with the prison escapees trying to take on Bill. Later on we see the prisoners have become his protectors. Tyler Cutebiker – Cutebiker wins the election for Mayor of Gravity Falls and is the calmest head around. We see this in Tyler’s confrontation of Bill in Weirdmageddon to the acceptance speech. This character is a lot of fun. Blubs and Durland – These are the police of Gravity Falls who love another and have a cute relationship as Durland isn’t bright at all but Blubs is always there for him and they make a good team in their ineptness. Them admitting their love for one another at the end is a sweet scene. Blendin Blandin – The time traveler from last season is back and challenges Mabel and Dipper to a game of death. He loses and changes from it when he sees that they didn’t know they had ruined his life. He also comes to their aid with the Time Baby to take on Bill Cipher, though they don’t end up being successful. Candy and Grenda – These two are wonderful! Grenda ends up with a prince because she of her blunt nature, Candy dates Dipper briefly and throughout it all they help Mabel get over her obsession with a boy band and a bunch of other things. These were great supporting characters. Pacifica – Pacifica is a bully to Mabel and we soon learn why she is the way she is when we see her parents are high strung and emotionally abusive. She is the one to redeem her family when a past man the family wronged is turning everyone into wood and she must let the townspeople into the mansion. It’s awesome and though she puts on heirs later she shows that she has changed and isn’t the elitist she used to be. I really liked her character and hope they had done more with what came of her arc. 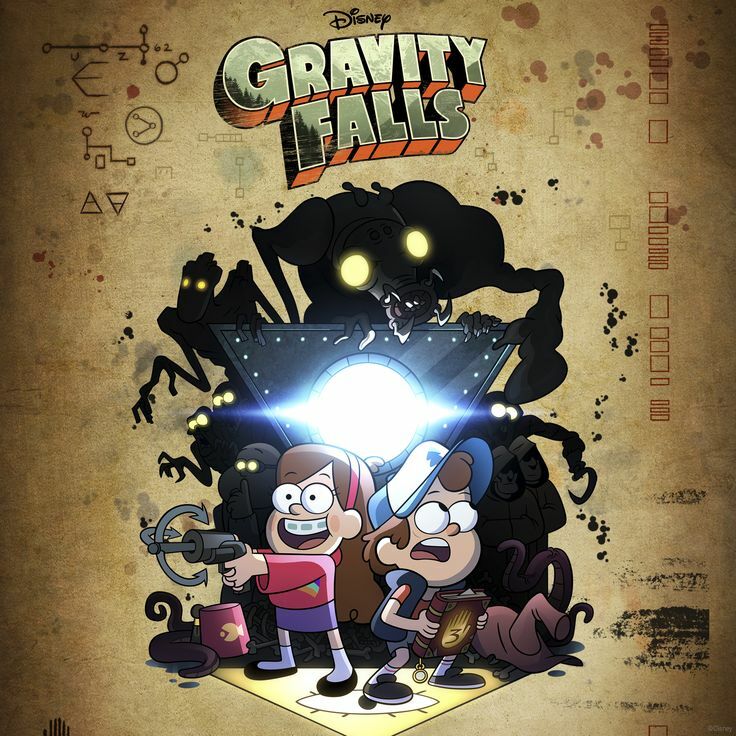 Mid-Season Finale – The portal opens and Mabel, Soos and Dipper have to trust Stan as we learn that his brother wrote the journals and was trapped in an alternate dimension this entire time…and that is why Stan has been so secretive as everything he’s done has been to get him back. Old Man McGucket – McGucket was a tech guy who was brought in by Ford (Stan’s brother) who ends up going insane when he looks into the alternate dimension so he forms an organization to help the townspeople forget the weirdness of the Falls…this eventually leads to him going insane and becoming mad with power as it his his tech that’s been fought on multiple occasions. Luckily in the final he gets his shot at redemption. Soos – Soos is the loveable nerd who is Stan’s trainee as he seeks to learn all he can to eventually run the Mystery Shack. His arc this season is finding confidence as we see him date and eventually get together with Melody (a fellow nerd) after he moves beyond the dating sim and when Weirdmaggedon hits hes the most prepared and becomes a hero to the populace, wandering and doing random acts of heroism before moving on. He is a great character. Wendy – Wendy is a great character and in this we see her break up with Robbie (when he was mind controlling her with his music) and set down boundaries with Dipper as their friendship grows. She continues to be the trouble maker on the side and when Weirdmaggedon comes around she is the survivor as her family always sent her off to survival camp for Christmas, she is the epic hero of the new Gravity Falls besides Soos and she helps Dipper save Mabel and the town. Ford – Ford is Stan’s twin brother who was always the genius and had the chance to get into an amazing university until Stan sabotaged it since he wanted to travel the world with him. This eventually leads to Ford exploring the paranormal leading him to Gravity Falls and a deal with Bill Cipher which costs him greatly, leading him to research on how to stop Bill. He’s never been a people person so his arc is resolving things with his brother and building a relationship with his niece and nephew. J.K. Simmons is great as his voice. Mabel – Mabel’s arc this season is one of letting go, whether it was the boy band she was raising in her home as pets, or the paradise of never having to leave Gravity Falls (which she makes a deal with Bill Cipher over). She does eventually learn how to let go though and her grappling hook comes in handy in the final assault against Bill Cipher and his minions. Dipper – Dipper’s arc is dealing with boundaries and masculinity. We see this when he dates for datings sake without any emotional investment and tries to be a player like Stan (both of them end up hurt) and in his sabotage of Wendy and Robbie’s relationship. In the end he keeps the friendships he built though and finds those are what matters most. He also realizes the danger of the diaries too when he summons zombies to show that Gravity Falls is supernatural to the FBI. He teams up with Wendy when Weirdmaggedon hits. Grunkle Stan – Grunkle Stan is a liar, con man and theif whose entire life is a bunch of mess ups that is he is trying to atone for. From ruining Ford’s project, to the fight with Ford that lead to Ford falling into an alternate dimension and everything else. Stan’s arc is for redemption as we see his love for his Mabel and Dipper motivates him to be better and not a coward. He’s my favorite character in the show and I really like how they handle his story in the Finale. 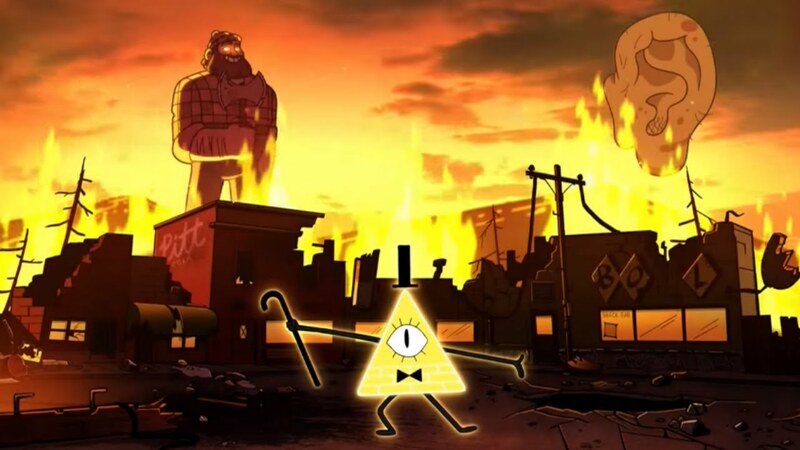 Weirdmageddon – Bill Cipher creates a hellscape of Weirdmaggedon (and gets a physical body) after he make a deal with Mabel to get what he needs to bring his dimension into ours. It’s a twisted hellscape where he turns the townspeople into stone to use as a chair and is populated by being who only want to cause destruction and mayhem. It really shows how powerful Bill is and what the town of Gravity Falls is up against to free themselves from the end. Weirdmaggedon is confined only to the falls though, thanks to smart thinking on Ford’s part and placing a barrier around the town. I really respect Hirsch for creating this nightmare in a kid’s show and changing the theme song to boot to go with it. Bill Cipher – Bill is the big bad and eventually wins for a while thanks to Mabel making the deal. The demon loves chaos for chaos sake and we see just how powerful he is as he takes on the Resistance’s mech on his own and takes out Ford easily in the first few minutes of Weirdmaggedon. For this reason his defeat is rewarding as he won so thoroughly after Mabel made the deal. The Resistance – The Resistance is great! There is a Unicorn, Gnomes, a Manitaur and quite a few others. When Mabel and Dipper join them they turn the Mystery Shack into a mech via Old Man McGucket (who finally uses his power for good) and take on Bill at his castle so they can free the town. They are amazing and I’d have watched an episode of just them and their interactions. The picture below is of the members of the Resistance. Grunkle Stan’s Sacrifice – In the end Grunkle Stan saves the day and risks his mind for his kids as Ford knows how to drop the barrier around Gravity Falls so he and Stan switch places, tricking Bill so that the mind-eraser can be used on him. Thanks to Stan the day is saved and Weirdmaggedon ends. The Ending – The ending deals with the aftermath as the mayor says that they won’t speak of the day again since no one understands what happened anyway and Ford, Mabel and Dipper deal with a Stan with no memory so share a scrapbook of the summer to help him remember everything again! After they have to say good-bye though and Dipper and Wendy swap hats to remember each other and she gives him a letter, Mabel keeps her pig Waddles and Ford and Stan go on an adventure together to fight monsters on the ocean as Stan gives Soos the Mystery Shack. It’s a sweet ending that captures the relationships of the show really well. What I would have Changed – The fact that this happened over a summer limits the possiblities, and this is Disney and after how horrible Weirdmageddon was to the populace I get writing a happy ending. I wanted Grunkle Stan to have his memory lost though, Bill is a powerful demon and if it’d been permanent it would give the audience the chance to deal with it within their own lives in regards to family with Alzheimers. The fact that it was only a summer limited the chance to explore that though so it was still really good but I would have had it be permanent or have a character death (yeah, I’m horrible). This is a show that is well worth your time. The animation is beautiful, there is a great antagonist, the characters change over time and the drama and mystery that drives the plot has great answers at the end. The tension never leaves the show because of the drama and mystery and in the end, the ending is touching and really shows that Dipper and Mabel have changed from their experiences at Gravity Falls, and that in the end, they always have next summer. Final Score: 9.7 / 10 (Not going to give a perfect rating to since the Dipper dating episode didn’t really work and the “Dungeons and Dragons” episode was kind of weak). The FBI agents didn’t work within the show either and felt tacked on. Besides these things, this is a show I’ll be coming back to. It is easily one of the best animated shows ever made. Disney X.D. has really done a great job in putting out quality shows. Whether it is “Star Wars Rebels” or “Gravity Falls” Disney like Marvel is telling stories that are powerful, fun and manage to capture what it means to be human so well. “Gravity Falls” is one of the best executions of this. 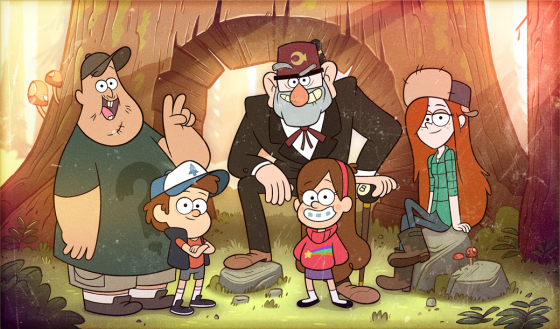 The series was created by Alex Hirsch and inspired by summer vacations spent with his twin sister. The story involves the Mabel and Dipper Pines being sent to Gravity Falls to spend the summer with their Grunkle Stan. All is not as it appears to be though as Dipper discovers a mysterious journal as together they experience and seek out the mysteries of Gravity Falls. The Pros: Gravity Falls – Gravity Falls is a fun town with colorful characters. Everyone there is a bit strange in different ways and it makes the town a lot of fun. Hell, this would be a fun town even if there were no supernatural elements in it. It is this location that gives us all our stories and it’s importance cannot be stated enough. The Animation – The animation is stunning and has a charm to it. It works for the world and there is depth to the world that the animation portrays. The animation team also gets really creative too with bringing a videogame character to life at one point and all of Mabel’s 80’s colorful visions. The Soundtrack – Brad Breeck created an amazing soundtrack with this! It’s like X-Files meets an Indie Band which captures the feel of Oregon and Gravity Falls really well. The theme song is probably my favorite for any animated show. The Comedy – The comedy is some of the best. A lot of it comes from who are characters naturally are, like Dipper being OCD, Mabel being crazy about glitter and shiny things, Soos and his good nature but also not being very bright and Grunkle Stan and his hustling and money making schemes. The comedy flows naturally from the world and how the many members of Gravity Falls interact with one another or what they discover in regards to the Supernatural. The Creatures – We meet the hyper-masculine Manataurs, Gnomes, living Wax figures, a vidoegame character brought to life, Mermando, the Summerween Trickster and more and each is more than what they appear to be. The creatures aren’t all that simple are given moments of depth in what drives them. It’s really cool and part of what gives the show it’s charm. The Characters – The characters are the strongest part and they have arcs they go through over the course of the Season. I’m covering the main characters here as a lot of the other members of Gravity Falls don’t get full exploration until Season 2. Wendy – Wendy is the apathetic teen who works at the Mystery Shack and is always down for breaking the rules. Over the course of Season 1 we see her break up with Robbie when she learns he was hypnotizing her and from there her going of her own way. She’s a fantastic character and easily the toughest character on the show. Grunkle Stan – Grunkle Stan is a hustler who cares about his kids. Most of what he does is illegal but he’s a good manager as we see he knows what it takes to make the Mystery Shack successful. His arc is being more open with his feelings even though he is hiding a portal he is building in the basement so he isn’t honest with Mabel and Dipper yet. He’s probably my favorite character on the show in Season 1. Also he looks a lot like Wario. Soos – Soos is a great guy who really doesn’t have an arc but is a good character. He lives with his Grandmother and is the fix it guy around the Mystery Shack. He is the glue of the show as he is always down for an adventure and is great friends with both Mabel and Dipper and helps them in their adventures from Day 1. Mabel – Mabel is a fantastic character! She is into glitter and has so much energy. She has some of the best jokes and humor. Much of her adventures involve her many crushes, whether it is a boy band who she learns are grown in a lab, Mermando the Merman and countless others. It is these romantic misadventures and adventures that set up a lot of the humor. She takes it in stride though and learns to let and not take it personally. She is all about helping others too and helps Stan and Dipper on multiple occasions. 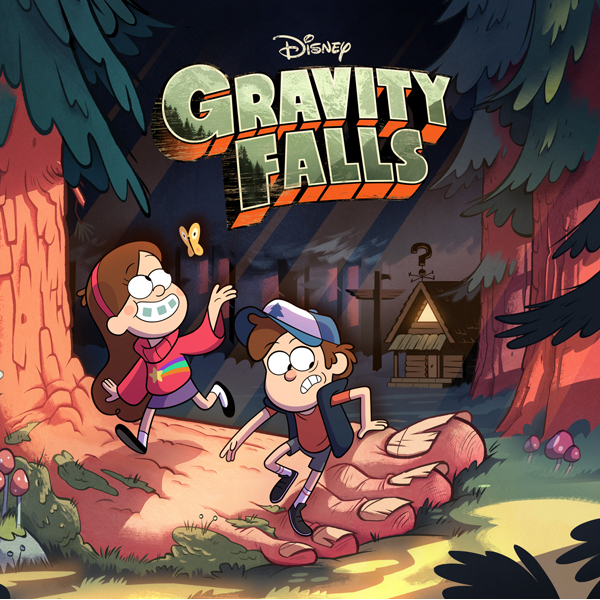 Dipper – Dipper is the anxious 12 year old boy who spends his time at Gravity Falls pining after Wendy and seeking to solve the mysteries of the town when he discovers a mysterious journal. He’s the closest thing the show has to a protagonist and his arc involves him being more aware of Mabel and in doing so becoming a better brother and realizing the ways he’s been a jerk and selfish and realizing that Stan really does care about him and discovering he is more than the journal and is strong on his own. He really is a good protagonist. The Ending – The ending involves facing Lil’Gideon who was a fake psychic in a prior episode (was using a device to read people’s minds and later video) and the final fight is awesome as Dipper takes Gideon out in his robot and after we see Grunkle Stan has all the journals and activates a mysterious portal. It’s really cool and sets up Season 2 really well. Bill Cipher – Bill Cipher is the one really threatening villain who doesn’t need motivation as he’s a chaos demon. I can’t wait to see what is done with him as he is fought in the Dreamscape at one point when our characters are protecting the numbers to the safe that hold Stan’s will to the Mystery Shack. He has a great design and does feel like an inter-dimensional being. Okay: The Villains – In Season 1 the villains are largely played for comedy so a lot of them never get the chance to be humanized. This is a shame as the show is so good at humanizing the other characters. Having watched ahead I know this gets fixed but at least for Season 1, this was a con. I wanted to know why Gideon and Pacifica. This is the only downside though as the humor and situations make this secondary to the overarching plot of the Pines Family and their friends. This is the best american animated tv show I have watched since “Batman: The Animated Series,” and the best thing to come out of Disney’s animated television team since “Gargoyles” it is well worth checking out has so much depth in the characters and relationships and gives some hilarious situations too. All our characters learn about themselves and we are still left with mysteries to explore in Season 2. This is a show that treats the audience and it’s characters and world with respect.